This past weekend we took the kiddies up to Norfolk. Hopton Holiday Park to be precise. We went back in October and absolutely loved it and actually booked this break back then. 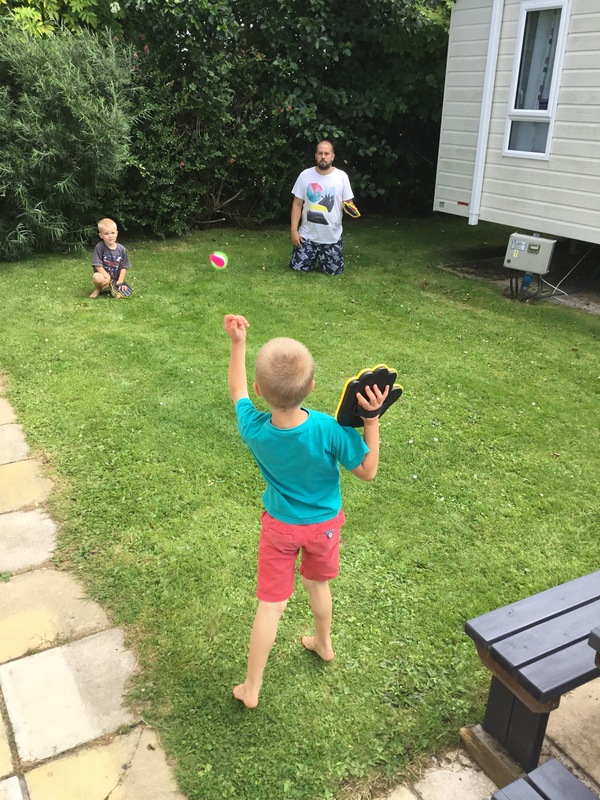 We privately hired from Souter’s Caravan Letting for both holidays and could not have been happier. The caravan has always been beautifully presented, with a range of toys that my kids love. They call it a home away from home and it really is. The towels are beautiful quality, you have access to their BBQ and beach equipment. They provide some of the essential cooking ingredients (such as oil, sugar and coffee) and it is just lovely. Both times MO has settled down really well in the caravan and the other kids love it just as much. Also customer service is spot on 🙂 We were getting there late and so the cleaner went in and pulled the curtains and turned on a couple of the lamps so we didn’t arrive in darkness. Its little things like that, that really is above and beyond. Friday we decided to go to Great Yarmouth. The drive took less then 20 minutes from the caravan. We had already cut our coupons out for a free adult ticket with any full priced children’s ticket, from our coco pops pack, ready to go into the Sea Life centre. As we arrived slightly before the Sea Life Centre opened we peered into the miniature village that is next to it. This looked really good and just from the little sneak peak, our kids were intrigued. We decided next Norfolk trip we would go there as from the way the kids were reacting it would be money well spent. We finally got into the Sea Life Centre and we were greeted with super friendly staff, who interacted with the children really well. That includes MO who then spoke non stop about his lizard he had brought. You are led through to a bench to sit on and make funny faces and pose. Again, the staff member was amazing with the children and made the experience fun, it didn’t feel stupid sitting in front of the green screen. We did buy the photos at the end, we chose the family pack which has a variety of key rings, fridge magnets, photo books and it cost £25. A little more then I would usually pay but as we saved more then this on getting in I didn’t feel robbed. Then you go on a trail, finding 9 different stamps to get in your book. You visit penguins, sharks, the rock pool and ray bay. When you get to the shop you hand in your book and are presented with a prize. It kept the children entertained and the stamp book has puzzles and facts in that the children kept reading while going around and even back at the caravan. One of the jaw dropping moments is walking through a small dark corridor and it opening up to see a massive shark tank complete with sea turtle! It really is jaw dropping. Dad and I went to the London Sea Life Centre just at the end of October and I have to say the Great Yarmouth one is a lot better, it is laid out beautifully, the tanks are huge and the variety of fish is immense. Even if you have been to the London Sea Life I would still recommend going to the Great Yarmouth one. The only thing to note is that it is very disability accessible but to see the penguin tank from above there are only steps to get up the deck, I always check things like this for the future with BBG. If you do go to the Sea Life Centre I would recommend going into the toilet. It sounds stupid but it is beautifully painted and well worth the visit. BG was in awe of the painted walls and doors, to be honest so was I. 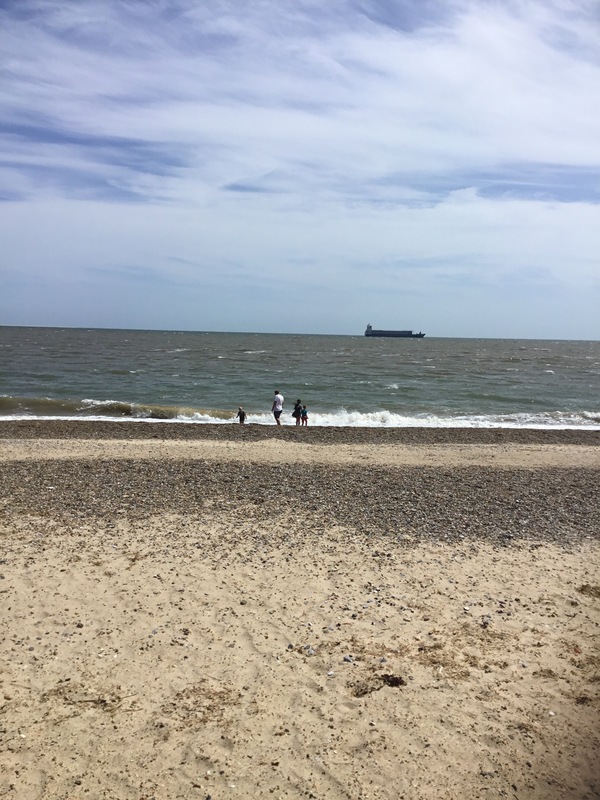 We then strolled onto Great Yarmouth Beach and compared to our local beach it has beautiful sand. The kids took their sandals off and just ran to the edge of the sea to dip their toes in. On Saturday it was BG’s birthday and so we gave her the choice of what she wanted to do. She chose to lounge around the caravan and play games in the ‘garden’ then a trip to the seafront. After lunch she wanted to go to a horse sanctuary that she had seen a leaflet for in Sea Life Centre. ​We went to Red Wings Horse Sanctuary Caldecott which is just fantastic. It was a 15 minute drive from the caravan site and was absolutely FREE to get in. We chose the Caldecott location as it was the nearest sanctuary but there are a couple in Norfolk. Caldecott has so many donkeys I was shocked when I saw them all! We even managed to stroke a baby donkey that was born a few weeks before! The kids were impressed. BG is obsessed with horses and donkeys and would quite happily buy a field and live in a tent if she was surrounded by them. They seem to completely navigate towards her as well, it is beautiful to watch how at ease she is with them. Even the huge horses! All the animals kept going straight over to BG, but this donkey was the most keen it just walked over and stuck its head right out for her to stroke and hug. You enter the sancutary and walk around paddocks. Each paddock has an information sheet about each horse or pony inside it. It also gives their background story. Unfortunately BG wanted to read all of the information and her brothers just wanted to run to see the next animal letting people stroke it. I will have to re visit one day just BG and me and read all about each horse and donkey. There is a lovely cafe there that serves some of the best cake I have ever tasted, and they even stock Gluten Free cakes! We managed to get a voucher for a free cup of coffee from one of the local Norfolk tourist booklets, so keep an eye out. The shop has a wide range of merchandise and some of the usual souvenirs but what I thought was good was they had different horse toys, mugs etc of some of the rescue horses. BG loved this and chose 2 horse toys to take home which were her favourite horses she found on the way round the paddocks. Around the paddocks there are a couple of information sheds where it gives some facts about donkeys and horses. There are also plenty of hand cleaner around. This place was magical. Considering it was a warm Saturday and its FREE entry, there was hardly anyone there. It was extremely peaceful and MO (well all the children) was very calm. MO then decided he had had enough but generally everytime he saw a horse he loved being able to stroke it. 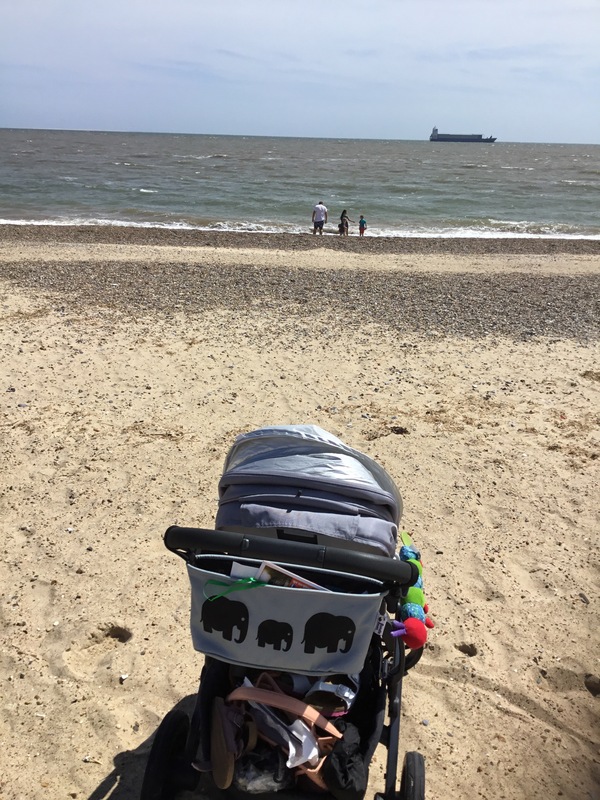 I would say we would bring out trailer pushchair next time as you are walking on fields, and although they haven’t got holes in, it wasn’t the easiest terrain for a pushchair, so if you have a wheelchair bare that in mind. On Sunday we had a tour of Hopton as we love it so much we want to buy a caravan. The tour was very informative, Hopton Holiday Village has a outdoor and indoor swimming pool, arcade area, arena where kids clubs and the night time shows are held. Outside there is a nature area where you can book the kids onto making dens and do nature activities around a Tippie. They even have a pond where you can go pond dipping and various sporting activities. In fact you can quite happily stay on in the village all week and not go outside, which is a massive advantage and one of the reasons why we are very keen to buy, we just have to weigh it up without our holiday goggles on. 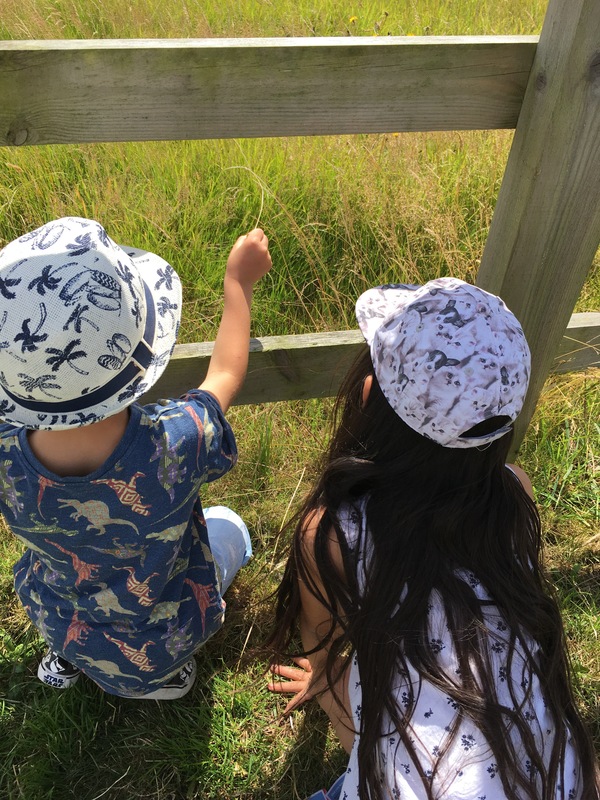 We then bundled into the car and went out for lunch with the plan to go onto a Hirsty’s Family Fun Park to do their Maize Maze which is about 20 minutes away from the caravan. When we got back to the car the car wouldn’t start! NOOO, a quick call to our car insurance recovery team and within 18 minutes we were on our way. Although we could have gone onto the maze, MO was very upset and out of sorts about the whole situation. He needed to get back to the caravan and calm and rezone. So we went back and enjoyed one last afternoon by the sea. Monday morning came far too soon and we were out of the caravan and on our way home by 10am. 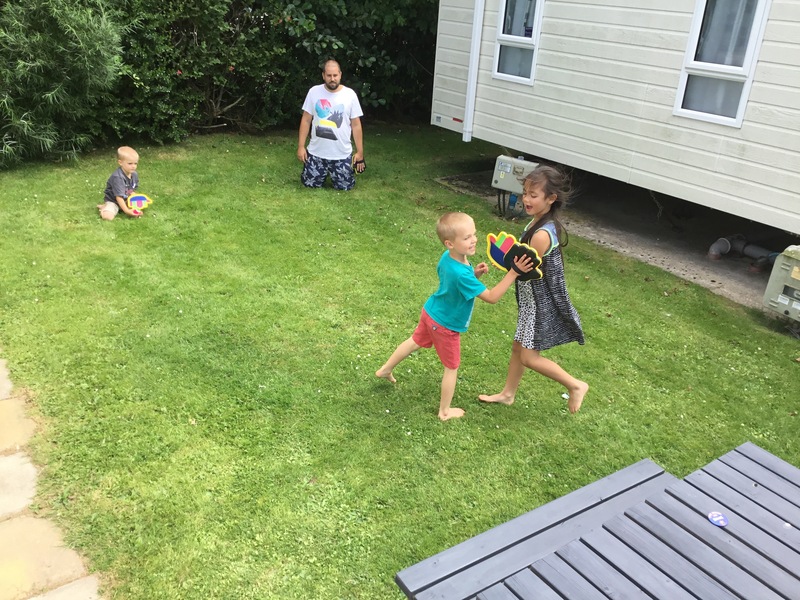 It was extremely tough to say good bye as the kids wanted to stay for another week and do some more fun things that they had circles in the tourist books. We will just have to wait until the next trip. The holiday was perfect and exactly what we needed, just a relaxing place to go away and spend time in the fresh air. There are still plenty of places for us to visit and in some instances re visit. I can’t wait to come back to Norfolk again. In October we went to, Africa Alive, Bewilderwood and Dinosaur Adventure. All 3 I can highly recommend and are on our list to do again in the future. I am a bit annoyed as I had wanted to bring the YippieYo as I knew we were doing outdoor activities but left it at home with our Bundle Bean as it was on the YippieYo from the day before we went on holiday. It made me realise how much I actually use the Bundle Bean and also how much easier the YippieYo is to use on non path areas. So if you are outdoors sort of people I would highly recommend these 2 pieces of equipment as I honestly got really fed up of fighting the pushchair and struggling to keep BBG protected from the wind and rain, good old British summer weather! If you use the discount code Olivia on check out on the Bundle Bean website this gives you an Ambassador discount.